After you get us to install air conditioning in your home or office, you won’t know how you lived without it. We believe that air conditioning Adelaide is actually a money-saving feature in the workplace because it makes employees increase their productivity. It can also improve your family life. We install home air conditioner units and air conditioning systems that including vents and ducting that allow it to cool and heat your entire house. 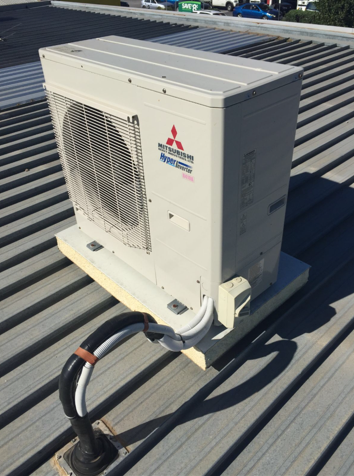 We also install air conditioning on a larger scale in offices, warehouses and factories. Split system air conditioning involves an indoor unit and a connected outdoor unit that cooperate to blow cool air into the room and expel hot air. We are experts installing an optimised split system in your home. For an out-of-the-way air conditioning setup that will reach to all corners of the house, you should consider bulkhead air conditioning. The cooled or heated air comes through vents in your walls. For air conditioning multiple rooms, ducted air conditioning is definitely the way to go. The temperature of the whole house can be controlled from a panel at the click of a button. Cassette units are self-contained air conditioners that we embed in your roof so that they have the inconspicuousness of bulkhead setups, but the simplicity of wall-mounted air conditioners. For a simple air conditioning solution, we can install a sleek wall-mounted air conditioner and connect it into a split-system. Floor standing air conditioner Adelaide are powerful, cost-efficient and simple to set up. Plus, we have units with modern styles that will accompany your decor nicely.